I used to own a 13-inch MacBook Pro. But out of curiosity (and the desire to try out a new gadget – we’ve all been there), I sold it off to get the Microsoft Surface Pro 4. That didn’t work out very well, and I soon ended up with a laptop that has only one port. Well, two ports, if you take into account the 3.5mm jack. Of course, the laptop I currently use is none other than last year’s 12-inch MacBook, which has just been refreshed with a new processor and supposedly better battery life. 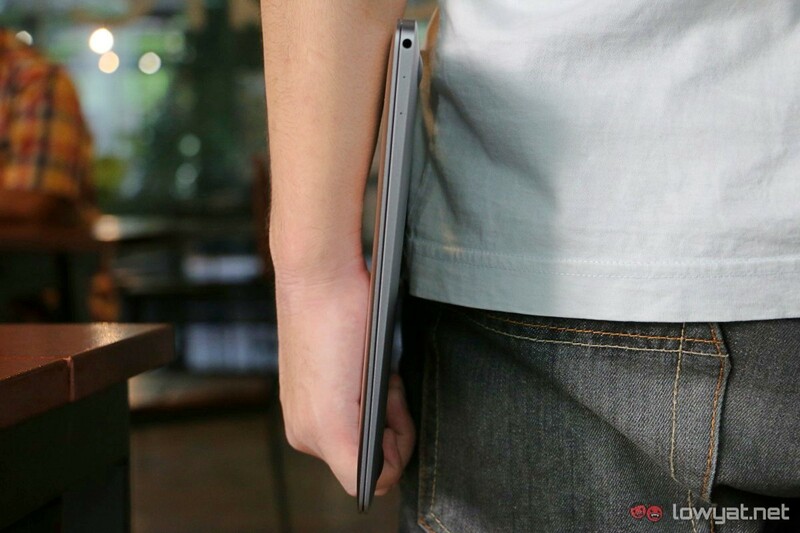 It’s a beauty of a machine: it’s thin, it’s light, and most of all, it’s very, very compact. If only it had more ports and a better processor. The 12-inch MacBook would have been the perfect machine for me (and, I suspect, for many people looking for a no-compromise mobile machine). 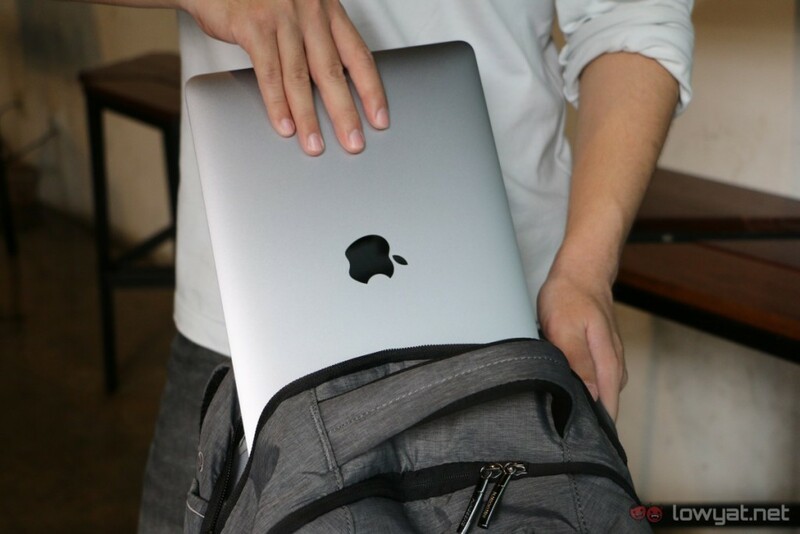 Don’t get me wrong: I thoroughly enjoyed using this MacBook as my daily driver for the past few months, and there are several aspects of this 12-inch laptop that I genuinely liked. Is it the perfect laptop? No. At least, not for me. But I do believe it will be an appealing productivity machine after several hardware revisions down the road. But enough explanation; here’s how I lived with a laptop that only has one port for everything, and how it was like. 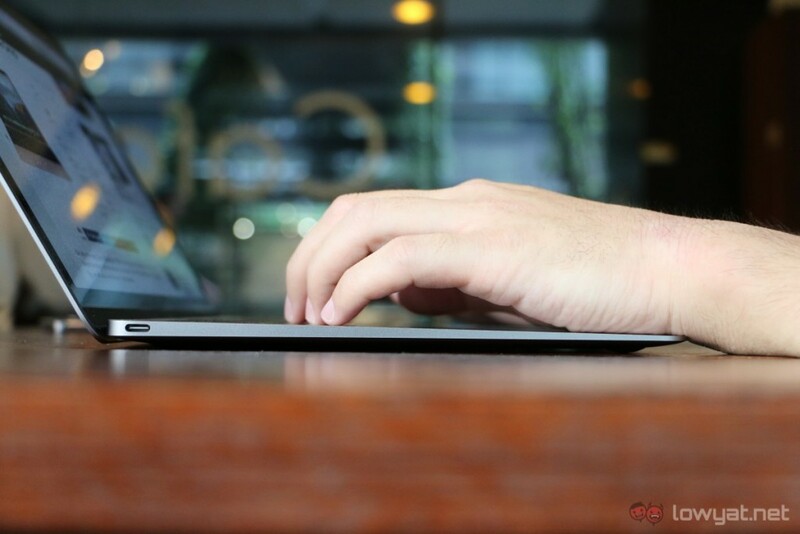 The 12-inch MacBook is so, so thin, light and compact. While the 12-inch MacBook is definitely very thin and portable, it’s not exactly its most appealing factor. 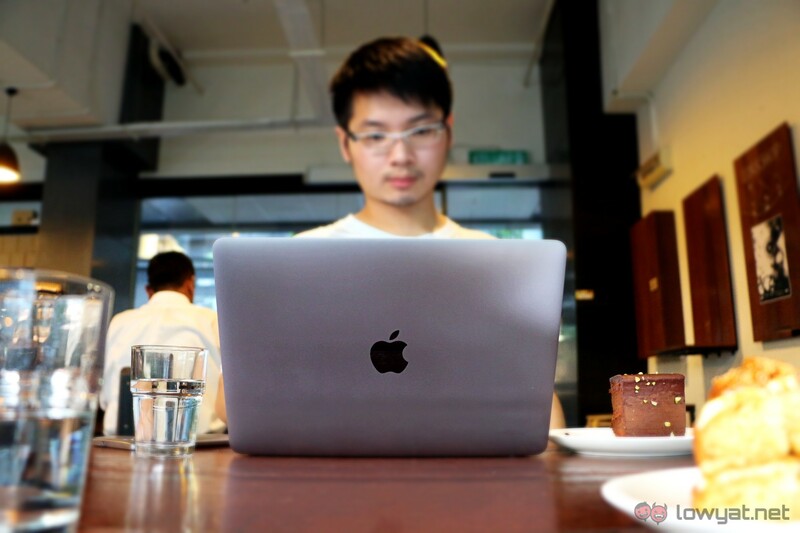 At first, I admit I was drawn to this MacBook due to its sheer portability, but there’s more to a laptop than just how compact or thin it is. To me, it’s the whole package that determines how good a laptop is, and the 12-inch MacBook fulfills most of these criteria. First, let’s talk about one of the “compromises” to make this MacBook as thin as possible: the keyboard. The keyboard is actually better than expected. 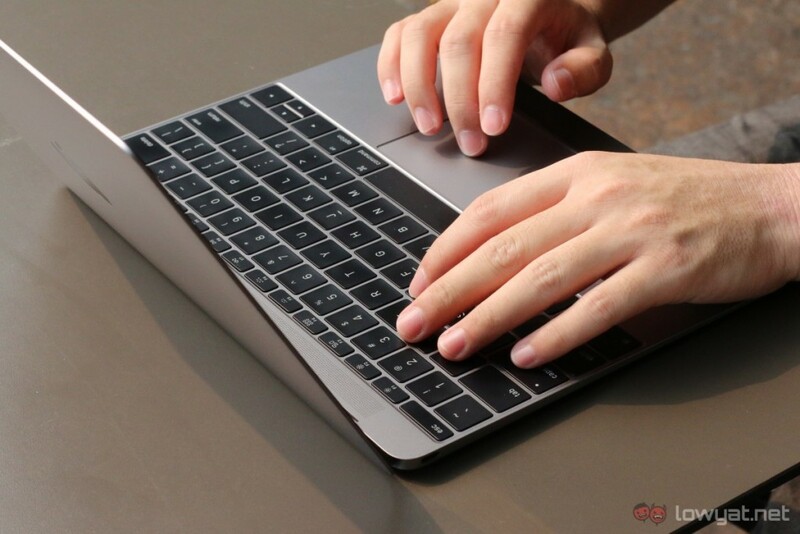 One of the most critiqued hardware of the 12-inch MacBook is definitely its keyboard, which – I kid you not – was affectionately described by one of my colleagues as a “Fisher-Price” keyboard. 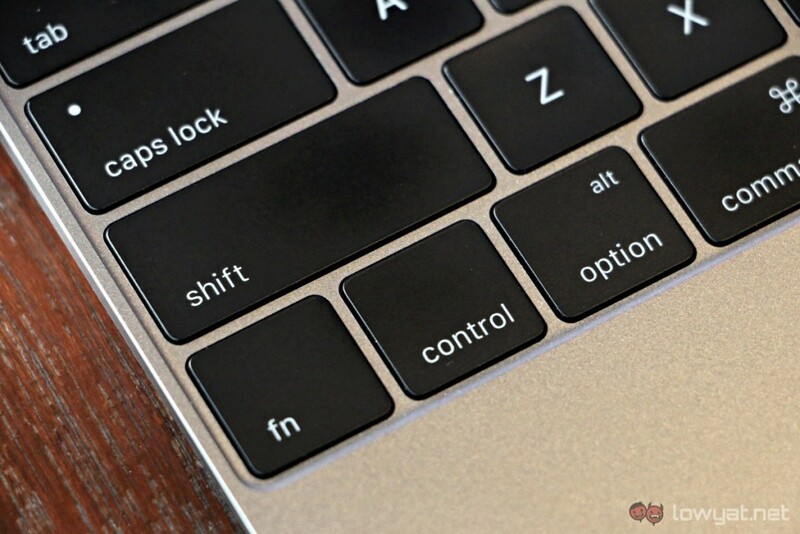 When I first tried out this MacBook’s keyboard, I could definitely see where he’s coming from. For starters, key travel is basically non-existent with this keyboard, and the tactile feedback of each key pales in comparison to more conventional laptop keyboards. However, after spending some time with the MacBook, I got used to it: in fact, I’m actually typing faster with this keyboard. The thing is, there is basically no height difference between each key; I can effortlessly move my fingers to the next one without consciously lifting my fingers to avoid hitting other keys. On top of that, the keys are actually bigger than usual, which I absolutely adore. Make no mistake: not everyone will be able to – or want to – adapt to this keyboard, but I definitely did, although I do miss keyboards with a proper key travel and tactile feedback sometimes. 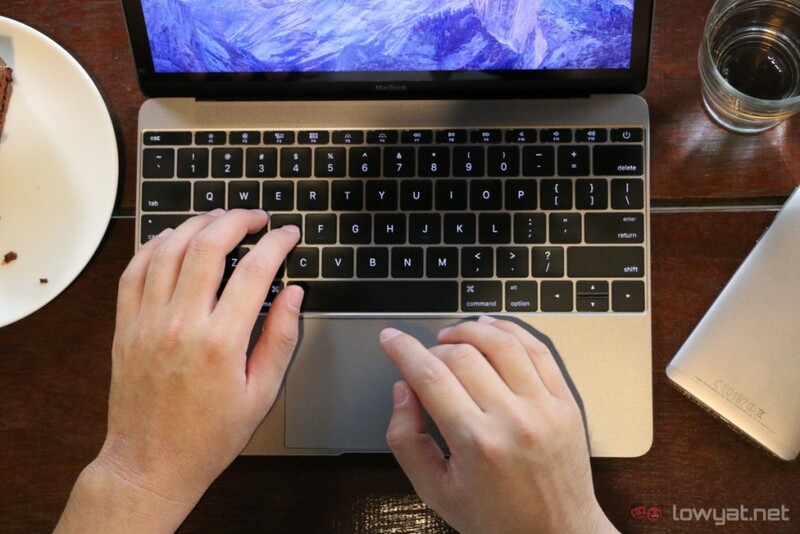 No trackpad is quite as good as a MacBook’s. 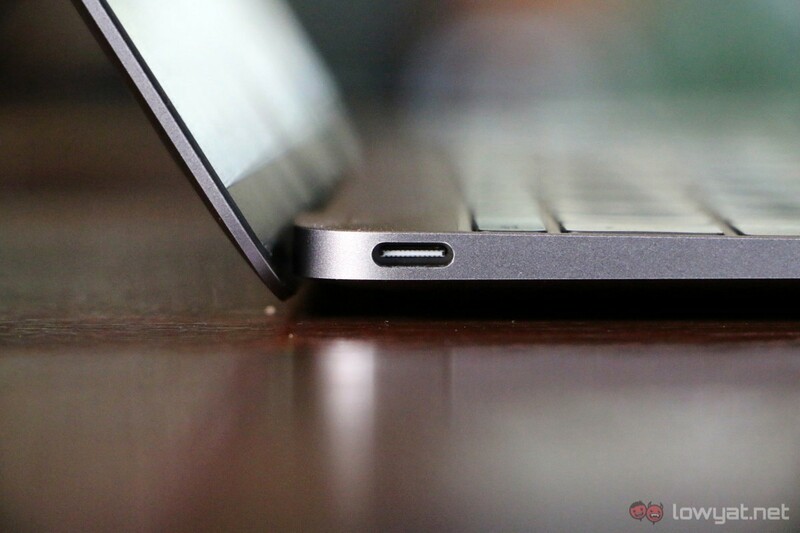 And then we have the usually excellent trackpad of a MacBook. In the case of the 12-inch MacBook, it’s a Force Touch one; this is identical to the trackpad of the early 2015 13-inch MacBook Pro I had. 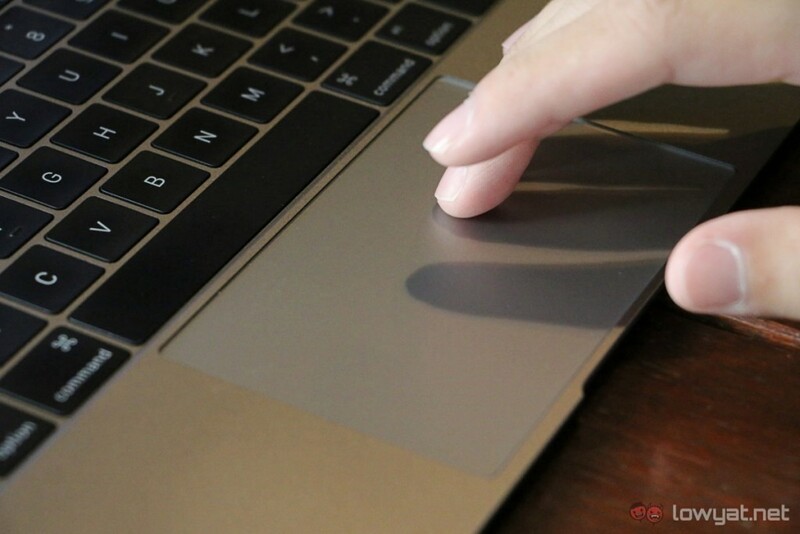 Basically, a Force Touch trackpad is different from a conventional one in the sense that there are no moving parts: each “click” is simulated by a haptic feedback system, which feels just like a normal click. Naturally, the trackpad is also very responsive and accurate; this is one of the reasons why I love MacBooks. 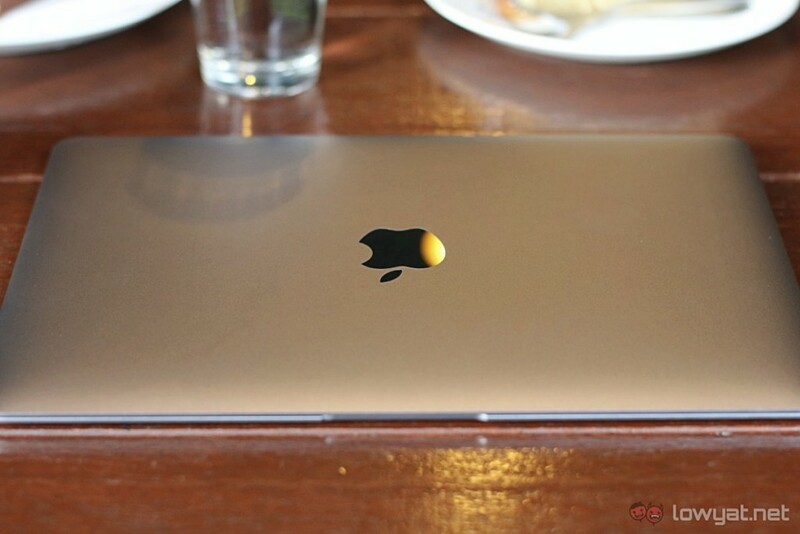 Apple simply knows how to make a good, proper trackpad. Why can’t more laptop makers come up with 16:10 displays? 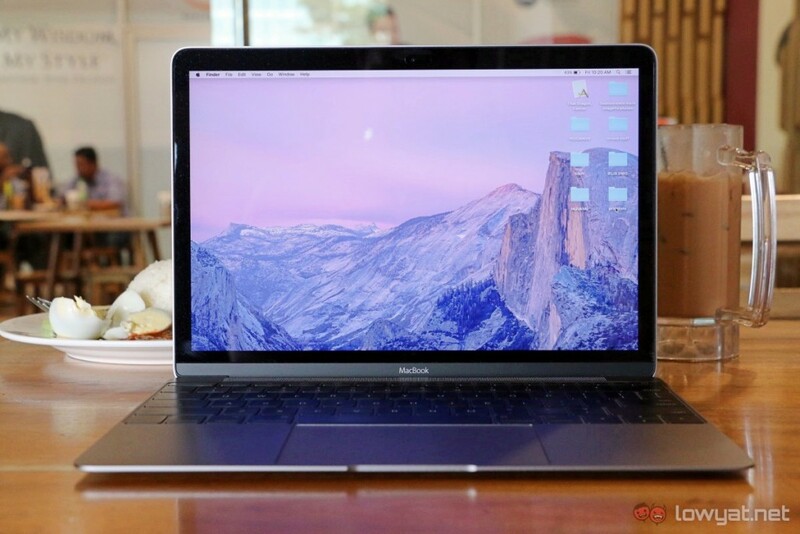 Just like the MacBook Pro lineup, this 12-inch MacBook also has a Retina display. The 12-inch 2304 x 1440 IPS display is simply stunning to look at, mostly thanks to OS X’s excellent text scaling and the panel quality itself. Honestly, I was a little reserved about using a 12-inch laptop. Coming from the 12.3-inch display of the Surface Pro 4 (which I found to be quite small, but still manageable), I was particularly worried I wouldn’t be able to work effectively with this MacBook, but all of my doubts went out the window after I started using it. See, all MacBooks – except for the 11-inch MacBook Air – have a 16:10 display. This basically means the display has more vertical space than other laptops, which are typically equipped with 16:9 panels. Thanks to the taller aspect ratio, working on this MacBook’s 12-inch display does not feel cramped at all. Battery life is pretty much equivalent to the 13-inch MacBook Pro. If there is one advantage OS X machines have over their Windows counterparts, it would be battery life. While I didn’t keep track of just how long my 12-inch MacBook lasted before running out of juice, I can almost always make it to the end of a typical work day with more than enough battery to spare for a quick round – or two – of Hearthstone. Yes, this MacBook has no issues running the game, although I can forget about playing more graphically intensive games such as Counter-Strike: Global Offensive on it – not that OS X is ideal for gaming in the first place anyway. Considering how thin this laptop is, the speakers are amazing. And man, the speakers. I was really, really impressed by the audio quality of this small little machine. Not only does it get really loud, the audio is pretty clear as well. That being said, bass isn’t something you would get in excess with a pair of laptop speakers, and this much is true even for this MacBook. The 12-inch MacBook doesn’t feel sluggish at all…for the most part. I must confess: performance issues were one of my main concerns with the 12-inch MacBook before I got it. Thankfully, my worries were put to rest not long after I used it as my daily driver. 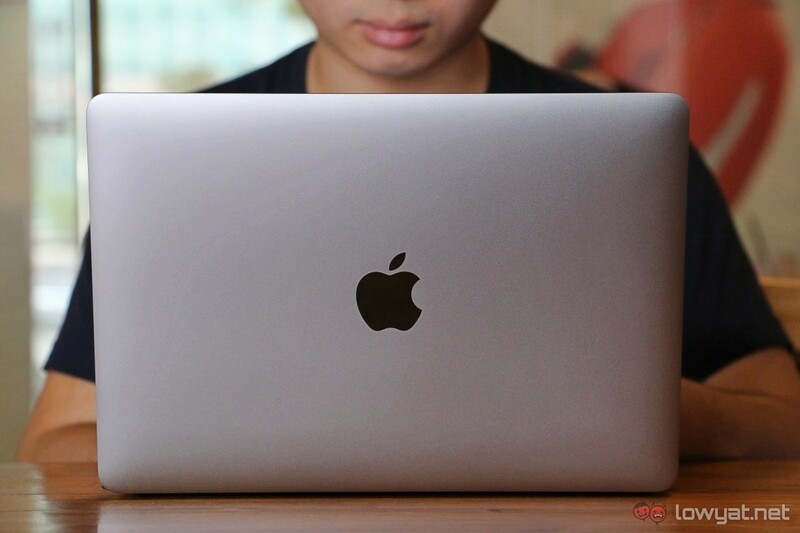 In comparison to a Windows laptop with a Core M processor (such as the Asus UX305), this compact MacBook feels much, much more responsive. I was taken aback by how similar the user experience is to my 13-inch MacBook Pro. That is, when I’m using the MacBook to browse the web and write articles – my typical tasks in any given work day. However, once I started to do more power-intensive tasks with this MacBook, the Core M processor truly showed its limitations. Things that are usually instantaneous – such as editing pictures – need some time to load now. Also, the machine would sporadically slow down when I’m using it normally, which can get quite annoying. In the interest of gauging just how much different it is in terms of performance to a “proper” laptop, I switched to a Windows machine with a Core i processor for a while. Not surprisingly, the Windows laptop felt noticeably faster than the 12-inch MacBook. 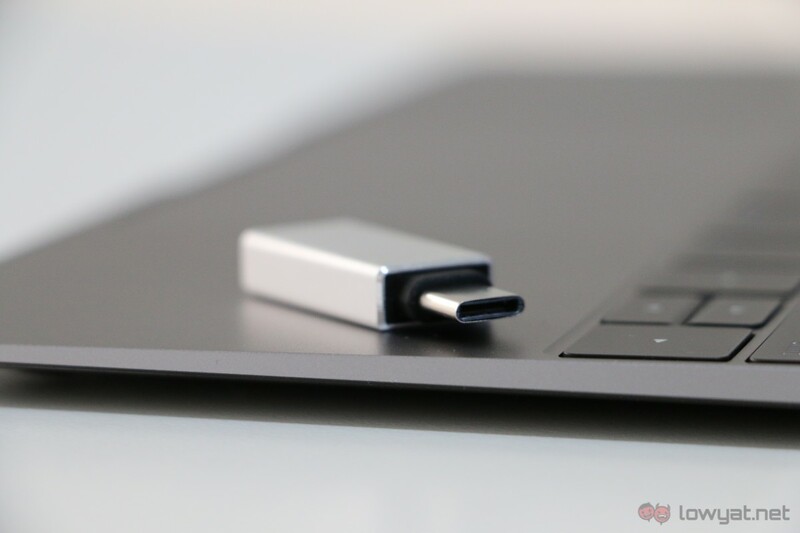 Other than the lack of processing power, the single USB Type-C port is really my main gripe with this MacBook. 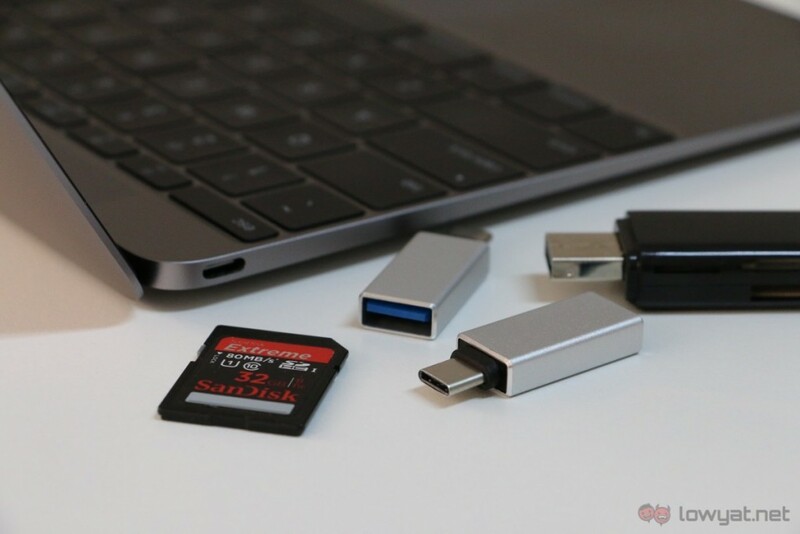 As a writer, there is one feature that I really, really need on a laptop: an SD card slot. Without one, there’s no convenient way for me to transfer images I’ve taken with my camera to the laptop. Of course, there is a workaround to this, which involves..
USB adapters. Lots and lots of them. No, I did not purchase Apple’s official USB adapter for the 12-inch MacBook. Instead, I went with the more budget-friendly approach: third-party accessories, which…might not have been a very good idea. Let me explain: one fine day, I was transferring images to the MacBook with a card reader connected to a third-party USB-C adapter. Lo and behold, the adapter disconnected without any reason and upon reconnecting: the SD card was reformatted. Long story short: I had to redo a photo shoot for a product I was reviewing. It wasn’t a good day. 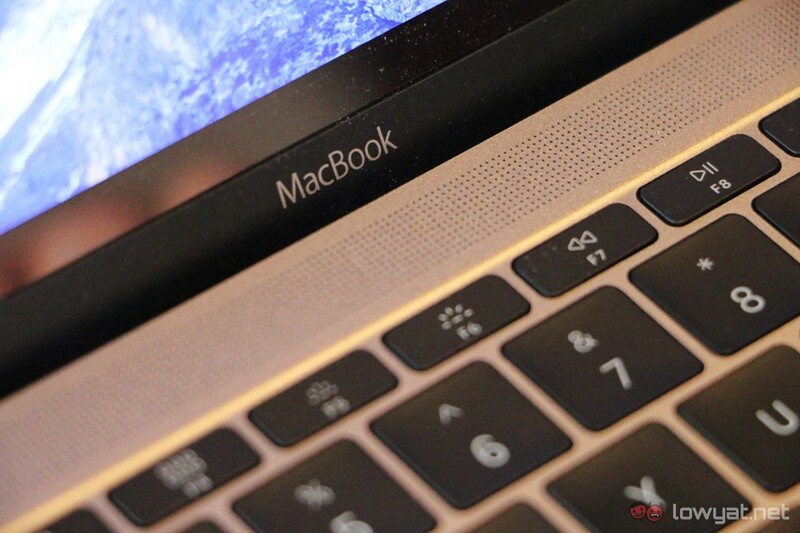 The 12-inch MacBook is about one thing – compromises. As it is, the 12-inch MacBook is all about compromises – yes, even the latest iteration. It’s the same thing when the MacBook Air was unveiled back in 2008. It was slow, lacked a good number of ports, and most of all, very costly. 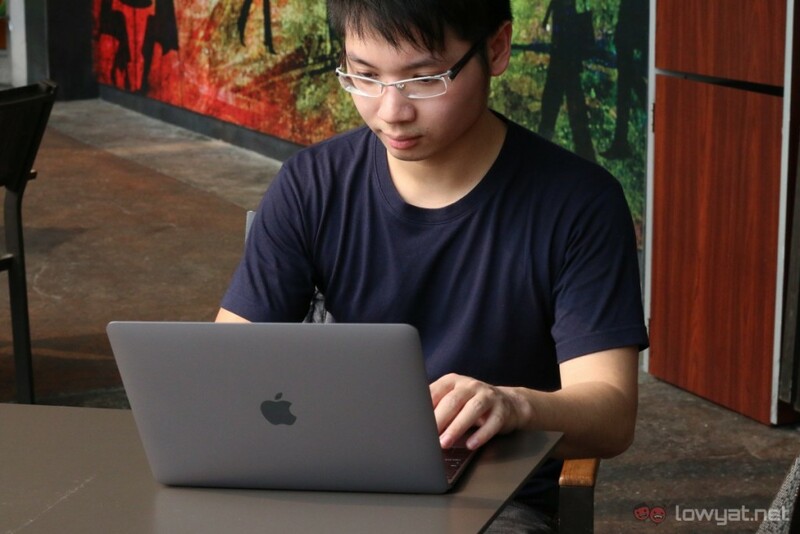 Only after several hardware revisions did the MacBook Air became the success it is today, although its low-res display remains its weakest point now. In the case of the 12-inch MacBook, there are a few things that need to be changed for me to truly call it the ultimate compact productivity machine. For one, it needs a more powerful processor. If HP managed to fit in an Intel Core i processor into the Spectre 13 (which is even thinner than this MacBook), why can’t Apple? 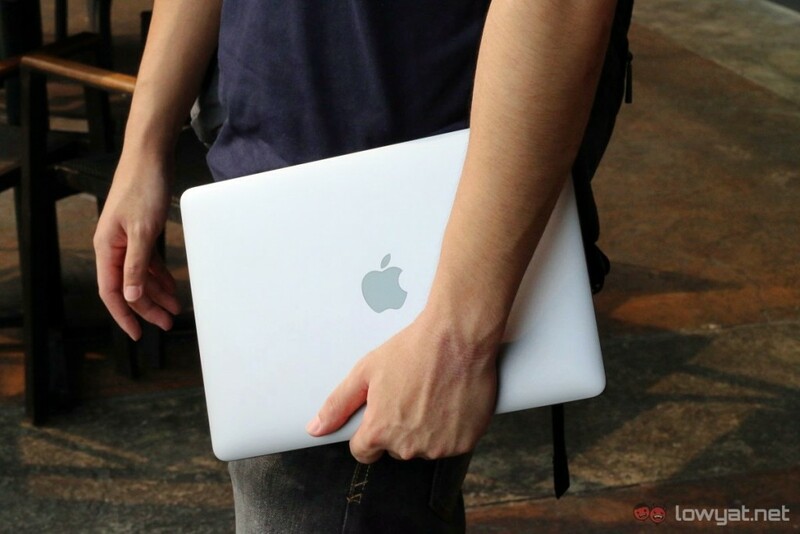 Can you live with the 12-inch MacBook? Certainly; if you can manage your expectations. Personally, the current iteration isn’t for me: it’s not powerful enough, and the lack of more ports is definitely a deal-breaker. I need to get work done as efficiently and as quickly as I can, and I can’t be dealing with adapters while I’m rushing to get a story out. That said, I have taken an almost illogical liking to the 12-inch MacBook. It’s a polished, extremely compact – and well-built – piece of machine that is a testament to Apple’s technological advancements. 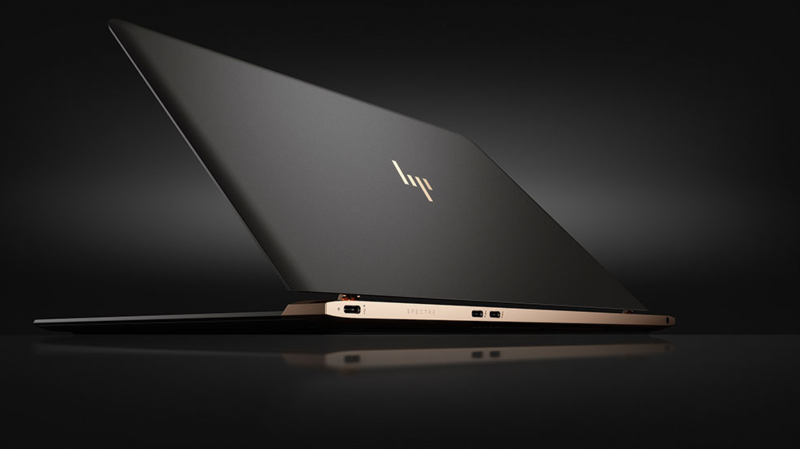 After all, newer laptops such as the LG Gram 15 and the HP Spectre 13 show that other PC makers are taking cue from the 12-inch MacBook, although both of these Windows machines have more ports and a better, more powerful processor. I really like the 12-inch MacBook, but I need to get things done. While the 12-inch MacBook isn’t for me, there is definitely a target audience for this portable machine. Now that it comes in Rose Gold as well, it may be even more appealing to certain consumers. 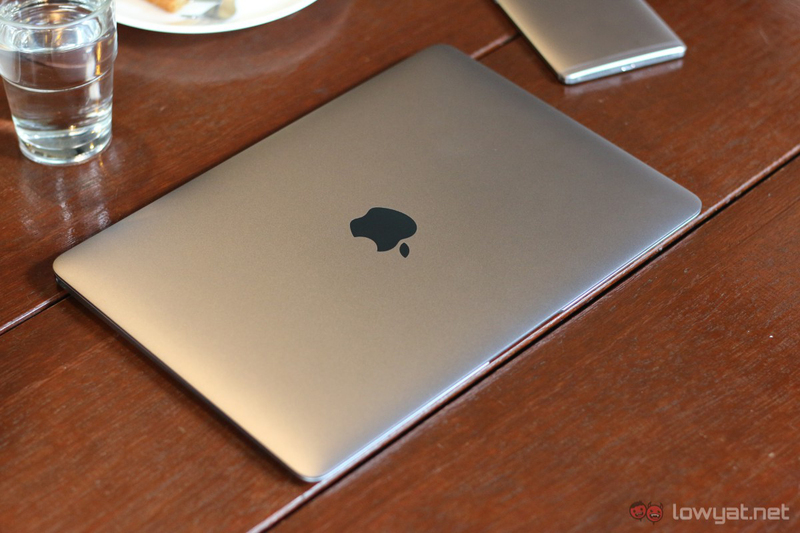 While I have yet to try out the 2016 iteration of the 12-inch MacBook with a better Skylake Core M processor, I doubt it is enough to satisfy my needs; it still has only one port, after all. And I need to get things done.